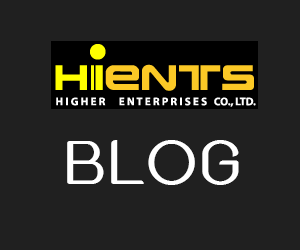 กระดาษทดสอบ Nickel(II) ions (Nickel test paper) | Higher Enterprises Co.,Ltd. 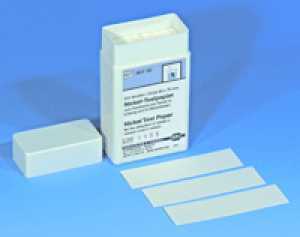 This test paper allows the quick and easy detection of nickel. For non-destructive testing of materials apply a drop of 3% Nitric acid (1 part Nitric acid 85%, 5 parts water) to the degreased surface. After 1 minute absorb the liquid with the test paper. With this procedure Nickel contents >0,5% are safely detected.